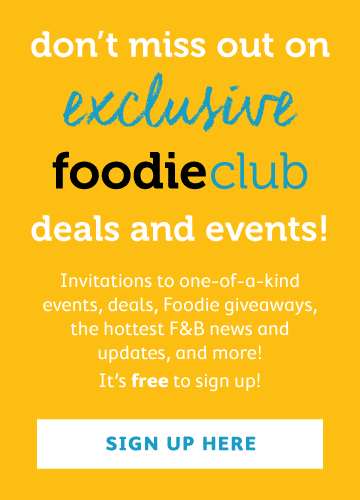 Let’s discover more pairing options! Most people think sparkling wine is an aperitif, but actually it goes surprisingly well with food, especially lighter Cantonese cuisine, dim sum, appetisers from northern Chinese cuisine and deep-fried dishes (e.g., deep-fried crab claw and salt-and-pepper squid). The secrets are its refreshing acidity and bubbles. The acidity contrasts the fattiness, while the bubbles cleanse the palate and allow us to savour the next dish with no residual taste from the previous dish. Its lively texture complements various textures of food. Sparkling wine is also a good match with dessert as a contrasting pairing. Usually we are quite full by dessert time and the lightness of sparkling wine whets our appetite. Rosé sparkling wine is great with chocolate-based sweets. Champagne is a sparkling wine made in the Champagne region of France. For legal reasons, sparkling wines from other regions using the same grape varieties and the same method as Champagne’s (second fermentation in the bottle) are not allowed to be called champagne. But these wines are often no lesser quality than champagne and often offer a better price-quality ratio. South African Méthode Cap Classique (MCC for short), Italian Franciacorta and Tasmanian sparkling wines are particularly outstanding. Although we discuss food and wine pairing, in reality most wine and food will match more or less as long as their flavour and intensity are not too extreme. The conversation around the dinner table should be the highlight, while the wine and food are at the background. You are not likely to notice a pairing unless it is surprisingly good or bad. For me, usually there is a 15% chance of a “wow” pairing and a 5% chance of a “yuck” pairing that distracts me from the conversation. One of my “wow” pairings was pan-fried salmon fillet (with burnt skin but slightly undercooked flesh) with an eight-year-old Stellenbosch Bordeaux blend. 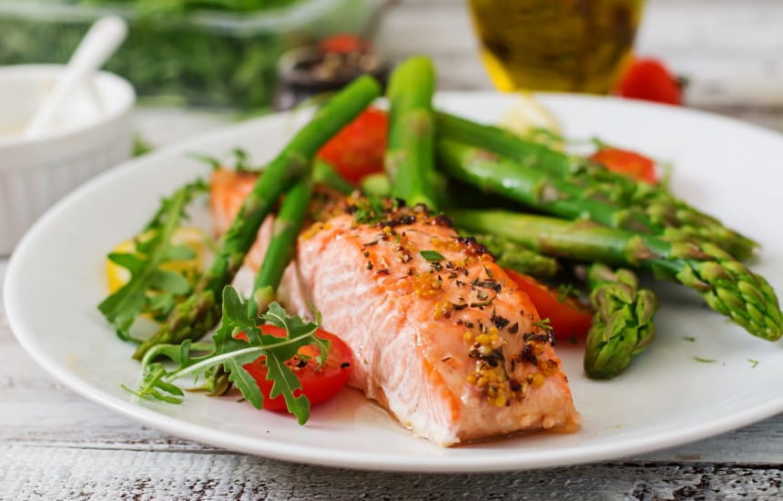 The flavour intensity of the oily salmon matched well with the wine and lifted the aromas. 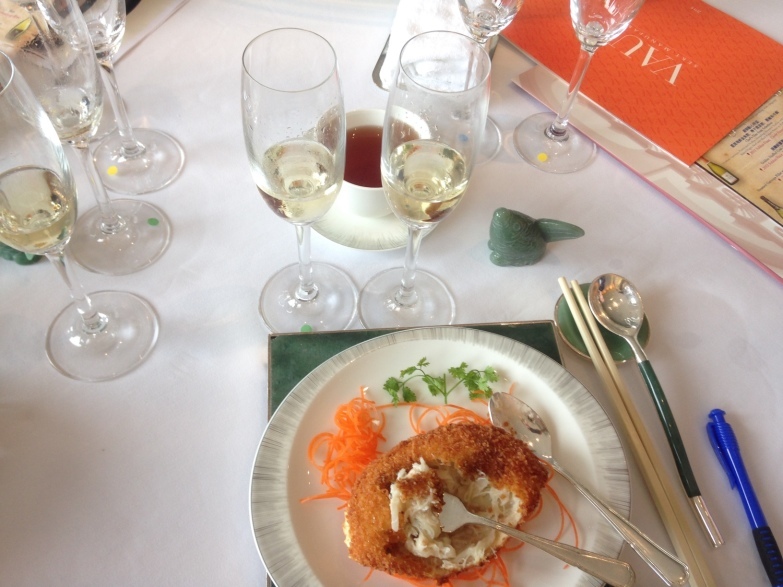 Another great pairing was steamed shrimp (白灼蝦) with a delightful Loire Muscadet. A “yuck” pairing? Marlborough Sauvignon Blanc with sashimi and wasabi (don’t get me wrong – this wine goes beautifully with some seafood, but it’s the raw fish and wasabi/soy sauce combo that clashed with the wine for me). 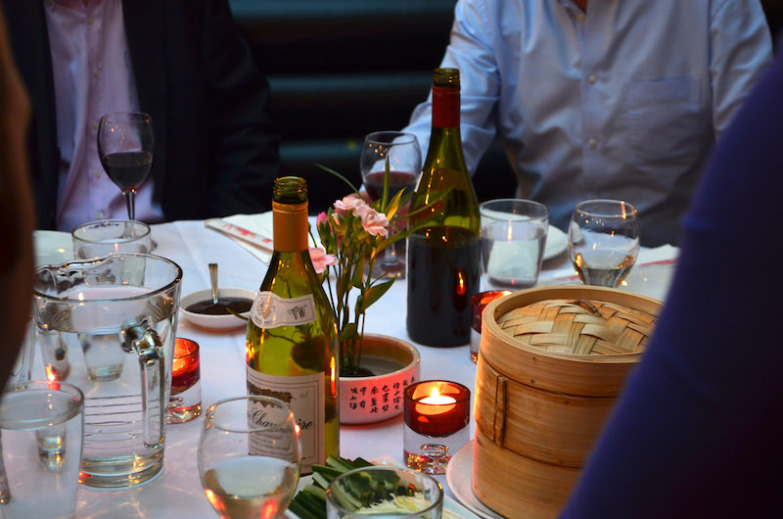 Most of us think it’s difficult to pair Chinese food with wine because there are so many dishes with different flavours to be shared at the same time. Just remember the 80/20 rule. As long as you don’t order food or wine that is too extreme, they will match. If you have a few friends, open a bottle of both a lighter and a heavier wine and serve them at the same time (this could be a white and a red, two whites or two reds). You can sip either wine with whichever dish you think best matches it. One of the most challenging Chinese dishes to pair with wine is sweet-and-sour spare ribs (糖醋排骨). The flavour is so intense that it kills most red wine, leaving the wine bland and tannic. I have found that a young vintage or late-bottled vintage port goes well with this dish. It has the body (20% alcohol), sweetness and acidity to stand up to the heavy sauce. Another recommended wine is Italian-style Amarone, a full-bodied, intensely flavoured dry red wine made from dried grapes. One thing to remember is that there is no right or wrong in food and wine pairing. It’s all down to personal experience and culture. 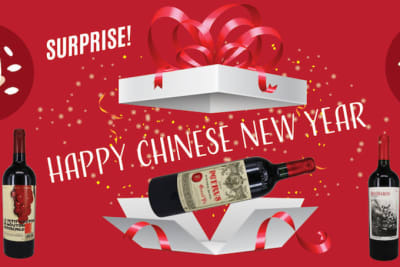 We Chinese may not yet have grasped the essence of food and wine pairing, but doesn’t mean we never will or that we have to follow Western methods. Westerners normally cannot stand very spicy food, so they usually recommend off-dry or sweet wines with fiery dishes, but we might like to accentuate the spiciness by having red wine. Our culture is all about serving and sharing a few dishes at the same time as opposed to having our own individual courses served separately, so it makes sense for us to have more than one wine on the table, or at least both a lighter and a heavier wine. What we must do is experiment and explore. We may not like a particular pairing, but we will find a lot more interesting matches in the journey. Just don’t be afraid. We don’t need people to teach us what to eat, so why do we need people to show us what wine to drink? The price of wine varies a lot, from less than HK$100 to over HK$10,000 per bottle. Expensive wine is like abalone, which is usually reserved for special occasions. However, we can always have more reasonably priced wine with our causal daily meals (even wonton noodles!) to add sparkle to our everyday dinners. Every wine-producing country offers a wide range of value-for-money wines. 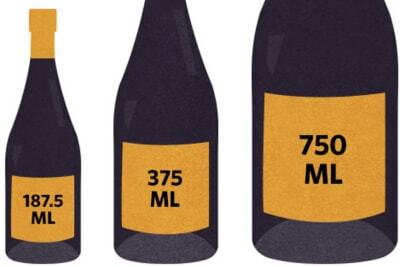 My everyday wine costs between $100–200 per bottle. 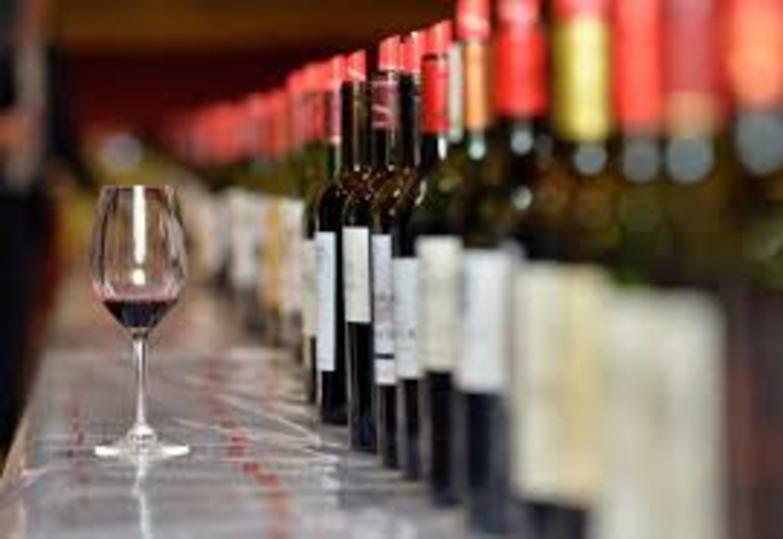 Reputable wine merchants will be happy to recommend some affordable wines to you. So go and have fun. Enjoy the many possibilities of food and wine matching. Make sure you have good company, as any food or wine certainly tastes better when shared with friends over lively conversation.